FL Rep Matt Gaetz is on the hunt for the heads of Democrats who lied to Congress, but were not prosecuted. Yet people like Roger Stone were jerked out of their home at 6 o’clock in the morning at gunpoint with handcuffs, and helicopters flying overhead as if he was on the Ten Most Wanted. Which he was not, by the way. 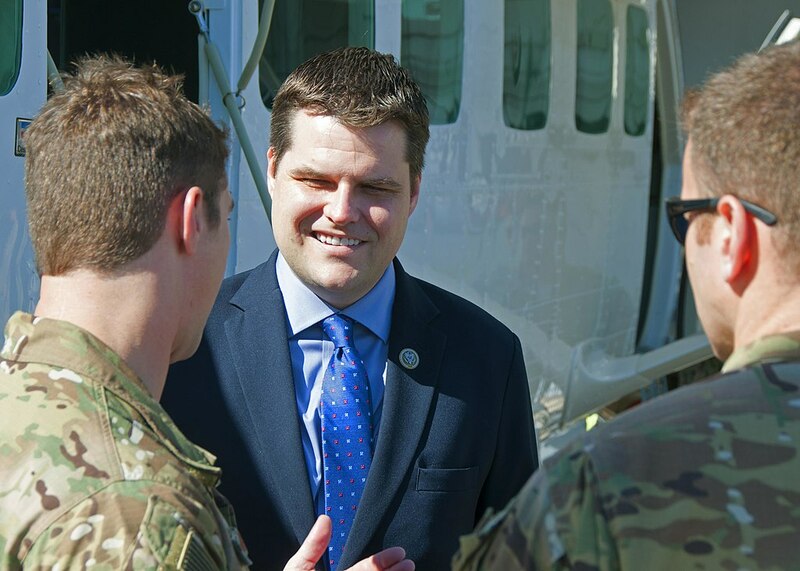 On February 4, 2019, Gaetz introduced the “Justice for all Resolution” – legislation designed to punish everyone who lied, not just certain politically expedient figures. He is aiming at Hillary Clinton, Andrew McCabe, James Comey, John Brennan, James Clapper, etc. If you are a Republican and you lie to Congress, you get 29 heavily armed Federal agents dragging you out of your home. With news media conveniently in attendance. But those whose lies to Congress involved dangerous matters like classified emails shared with non-secure people get nothing, or getting 4 Americans killed because you’re too lazy to upgrade security since you were too busy gun-running with terrorists… Rep Gaetz wants to stop that problem with the Justice For All Resolution. Unfortunately, with the Democrat majority in place on the House, it has very little chance of passage without a lot of Democrat defections. But great job for the effort, Rep Gaetz.